any arrears of salary paid or allowed to him in the previous year by or on behalf of an employer or a former employer if not charged to income-tax for any earlier previous year. Any salary, bonus, commission or remuneration, by whatever name called due to or received by a partner of a firm from firm shall not be regarded as salary for the purposes of this section. if salary of 2019-20 is received in advance in 2018-19, it is included in the total income of the previous year 2018-19 on “receipt” basis (as tax incidence matures earlier on “receipt” basis, “due” basis is not relevant in this case; therefore, salary will not be included in total income of the previous year 2019-20). 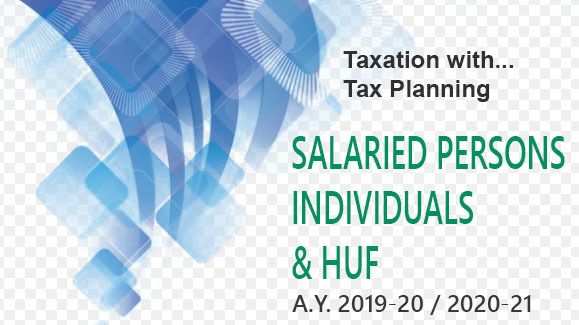 On the other hand, if salary which has become due in 2017-18 and received in 2018-19, is included in total income of the previous year 2017-18 on “due” basis (as incidence of tax matures earlier on “due” basis, “receipt” basis is inapplicable; salary will, therefore, not be included in total income of the previous year 2018-19). It is worthwhile to mention that salary is chargeable to tax on “due” or “receipt” basis (whichever matures earlier) regardless of the fact whether books of account, in respect of salary income, are maintained by the assessee on mercantile basis or cash basis. Method of accounting cannot, therefore, vary the basis of charge fixed by section 15. Taxable in the year of receipt. Taxable in the year of receipt, if not taxed on due basis earlier. In case of Government employees. it is fully exempt from tax. Government employee for this purpose is a Central Government employee or a State Government employee. “Average salary” for this purpose is to be calculated on the basis of average salary drawn during the period of 10 months immediately preceding the retirement. Not chargeable under the head “Salaries” but taxable under the head “Profits and gains of business or profession”. Taxable on receipt basis if not taxed earlier on due basis. In case of Government employee it is fully exempt from tax. Uncommuted pension is taxable in all cases. Commuted pension is fully exempt from tax in the case of a Government employee (i.e.. an employee of the Central Government, State Government, local authority and statutory corporation). 1/2 of normal pension is exempt from tax if the employee does not receive gratuity. Pension under new pension scheme in the case of a Government employee or any other employee joining on or after January 1, 2004 . Employer’s contribution is first included in salary and then a deduction is available (to the extent of 10 % of salary) under section 80CCD. Employee’s contribution is deductible under section 80CCD to the extent of 10 % of salary. When pension is received out of the aforesaid amount, it will be taxable in the year of receipt. Excess of employer’s contribution over 12% of salary is taxable. 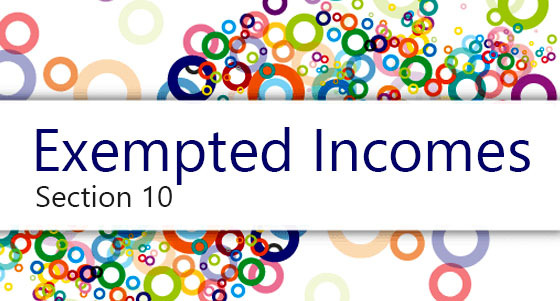 Excess of interest over notified interest is taxable (notified rate of interest is 9.5 % ). An amount specified by the Government (i.e., Rs. 5,00,000). When compensation is paid under any scheme approved by the Central Government, these limits are not applicable and the entire amount is exempt. Fully taxable under section 15. Exempt up to Rs. 5 lakh, if a few conditions are satisfied.